Marseille have joined the chase for Newcastle United’s in-demand right-back Mathieu Debuchy, who the club fear will press for a move when he returns from the World Cup. United are aware of interest from Arsenal and Paris Saint Germain and believe the right-back is looking for one last big move as he approaches his 29th birthday. The defender has already spoken of his desire to return to the Champions League but Newcastle will only sell if a club comes up with their £12million asking price. The Debuchy situation does not come as a surprise to United, who have identified replacements understood to include Ivory Coast’s breakout star Serge Aurier – while sources in the capital claim they have enquired about Carl Jenkinson of Arsenal. Newcastle have also been offered Micah Richards of Manchester City but his wage demands may make that something of a non-starter. There is business logic which underscores selling a player approaching his 30th birthday at a profit but, again, it sends a depressing message to supporters who have seen the club sanction a £19million move for Yohan Cabaye without any replacement lined up. Marseille’s interest increases the chances of Debuchy leaving in the summer and they can offer Champions League football next term. The club are in the middle of a major overhaul and are expected to sell Mathieu Valbuena this summer. It is understood Debuchy’s name came up during discussions about Dmitri Payet, the winger who is of interest to Newcastle. The Magpies return for the start of the pre-season campaign on Friday for medical tests and assessments – but one player who will not be among their number is Romain Amalfitano. He brought an undistinguished spell at the club to an end by signing a three-year deal with Dijon. 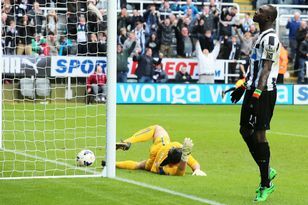 The midfielder did not make a Premier League appearance for Newcastle and had been on loan at Dijon since September. United expect to ramp up their recruitment drive this week. They retain an interest in Germany under-21 striker Pierre-Michel Lasogga, although Hamburg claimed on Monday night they were on the verge of making a breakthrough in the saga. Newcastle are prepared to spend £9m on the forward but they are waiting to hear whether he wants to make the move to England. Mark Douglas: Are the Magpies ready to splash the cash again?